Memorable Wedding: Choosing a Wedding Tiara - What Style Of Wedding Hair Accessory Is Right for You? 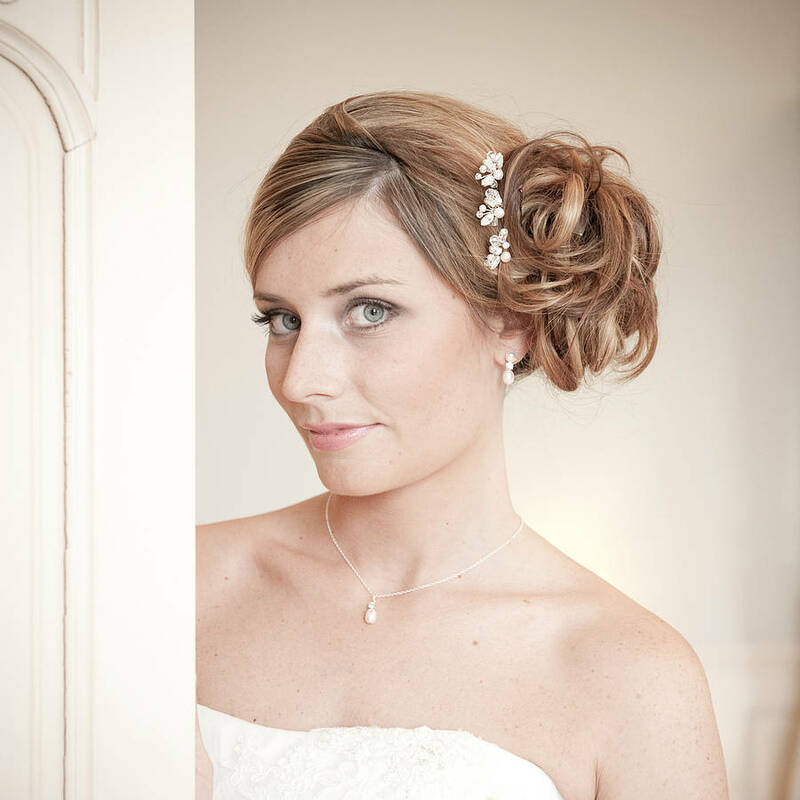 Choosing a Wedding Tiara - What Style Of Wedding Hair Accessory Is Right for You? When deciding what type of wedding hair accessory to wear-tiara, headband, hair comb or hairpin-it's important to coordinate the piece with your dress style and overall theme. Therefore it is important to take into account the following considerations prior to shopping for a wedding hair accessory. Your wedding gown is selected, not just the style but the color as well, be it white or ivory. Your bridal party colors are selected. As some brides like to incorporate their color scheme into the crystal of their headpiece, it's a good idea to know the overall color scheme of your bridal party. You have a basic idea on how you would like to wear your hair. In general the longer and larger the gown, the bigger tiara you can wear. A simple knee-length gown would look mismatched paired with a tall ornate tiara; however a bridal comb, hair pin, or headband would be more appropriate. For the bride wearing a ball gown, a tall tiara is a perfect match as it offers a dramatic look. Full length contemporary gowns can also be paired with tiaras; as long as their complexity and adornments are of similar style. Tiaras can be worn with up-dos as well as loose long and short hairstyles. Headbands offer great versatility and look great with nearly any style of wedding gown. They can be worn traditionally, spanning from one ear to the other or pushed up and worn in the style of a tiara. These are great for brides who want to wear their hair down but keep hair pushed up off of the face. They even work great for brides wearing updos, as they can be tilted and worn as a bun-wrap. For brides on the more conservative side, bridal combs are a great option as they are generally smaller in width than most pieces. Bridal combs work with nearly any hairstyle. They offer versatility and can be worn on the side of the head or as a miniature tiara. Hairpins also offer great versatility. Depending on the size of the piece, brides may choose to wear more than one. Larger pins look great as a focal piece and sets of smaller ones may be dispersed throughout the hair. 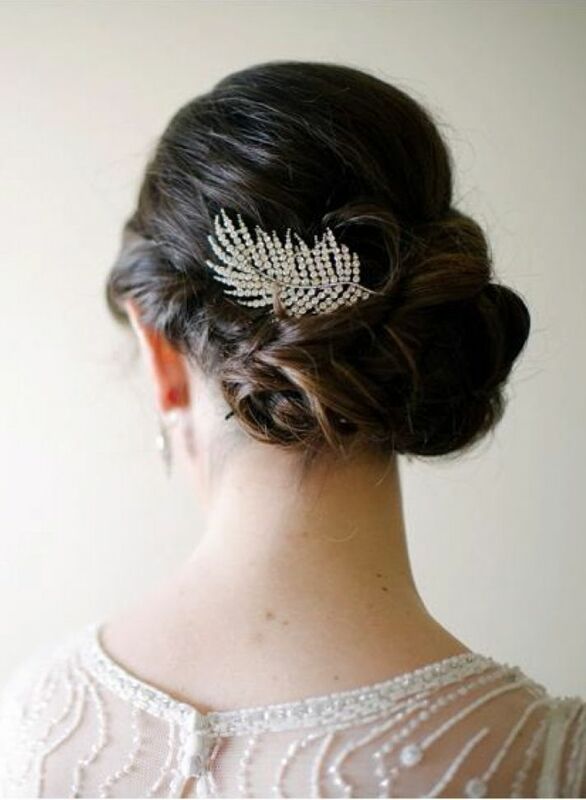 Hairpins compliment many bridal hairstyles, be it up or down, casual or formal.